I like lists. 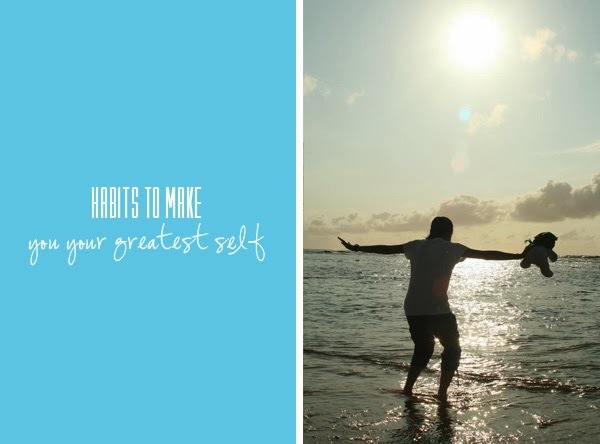 I’m still going through a bit of a bubble and articles like this, “23 Priceless Habits That Will Make You Your Greatest Self” remind me to not be swallowed alive by the horrors of life. You and I already know about some of the things posted on the list but sometimes we need reminding. This year is the first time ever I made a conscious effort to really commit to numbers 2 and 3. Number 3 has been hard for me. I also need to remember to be kinder to people, number 22. I’m not evil but I know I practice this more as well. I hope the list inspires you to be the best version of you!